Mrs. Oldenski has wanted to teach Calculus ever since she was in high school. She has now been given that chance. The former 7th grade pre-algebra and algebra teacher (for the middle school “Panthers” team) is now working in the Senior High School here at Seneca Valley teaching predominately 11th and 12th graders on the complexities of college level calculus. The Seneca Scout got the exclusive chance to interview Mrs. Oldenski on her new surroundings, students, and curriculum for the 2015-2016 school year. When asked how she viewed the differences between the middle school students she used to teach and the sophomores, juniors and seniors she teaches now, Mrs. Oldenski replied, “It seems that the older kids in general have a very different level of confidence compared to most of the younger kids.” And on the topic of her former students, when Oldenski was questioned on what she would miss most about teaching in the middle school, she answered, “helping students get organized for something that’s relatively new to them” is something she will remember fondly. But this doesn’t mean that she isn’t excited to finally be teaching calculus. 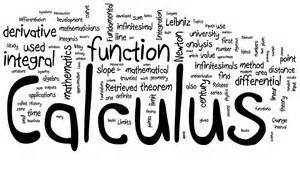 As stated earlier, Oldenski has been looking forward to teaching calculus for the entirety of her professional career, stating its curriculum contains some of her favorite mathematic principles. “Derivatives are among my favorites, but we get to those a bit later,” she elaborated. And while topics like “derivatives” are certainly new to the students, Mrs. Oldenski has found that some other aspects of her classes are new to her. For example, this is the first year that graphing calculators will make an appearance in an Oldenski math class. It is these methods of teaching that Mrs. Oldenski believes will prepare her students for the rigorous workload ahead. Her teacher website can be found at http://www.svsd.net/Domain/720 and is host to an abundance of information regarding her classes.